BAN’s Jim Puckett documenting Total Reclaim’s exports in Hong Kong electronics junk yard to prove that their export denials were false. Note Total Reclaim’s Earth Day collection event stickers. Copyright PBS. March 2016. 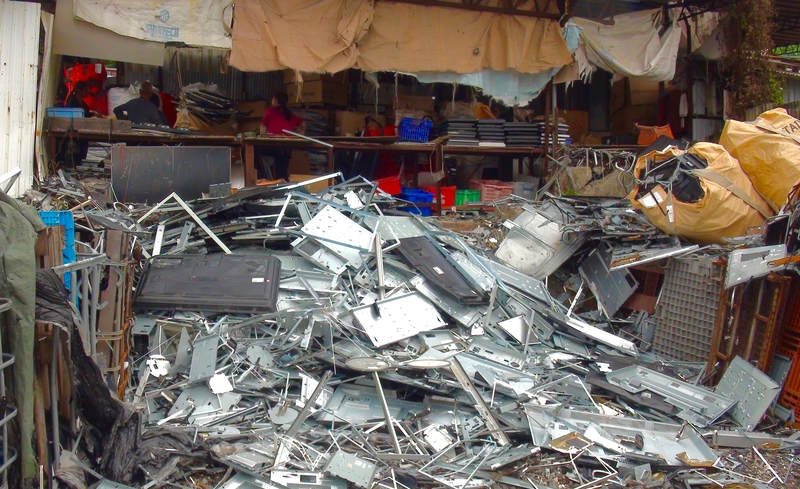 “We hope the action today by the federal government will send another strong message to the entire electronics industry that unethical recycling has consequences,” said Jim Puckett, Executive Director of the Basel Action Network (BAN). BAN, a Seattle-based watchdog group working to end the practice of companies dumping toxic wastes, including the public’s old electronics, on poor communities in developing countries in Asia and Africa, discovered the export from Total Reclaim as part of its e-Trash Transparency Project. The project used GPS trackers placed inside of old computing equipment. They discovered that Total Reclaim, which was a member of BAN’s own e-Stewards Certification, was using off-site storage sites at trucking companies to first store and then export the LCD monitors they received from the public to the New Territories area of Hong Kong. Location in Hong Kong where illegal laborers smashed apart Total Reclaim’s LCD monitors with no protection or knowledge of the hazardous mercury exposure from the broken backlights. Copyright BAN. March 2016. When confronted with the tracker data, Total Reclaim initially denied the export. 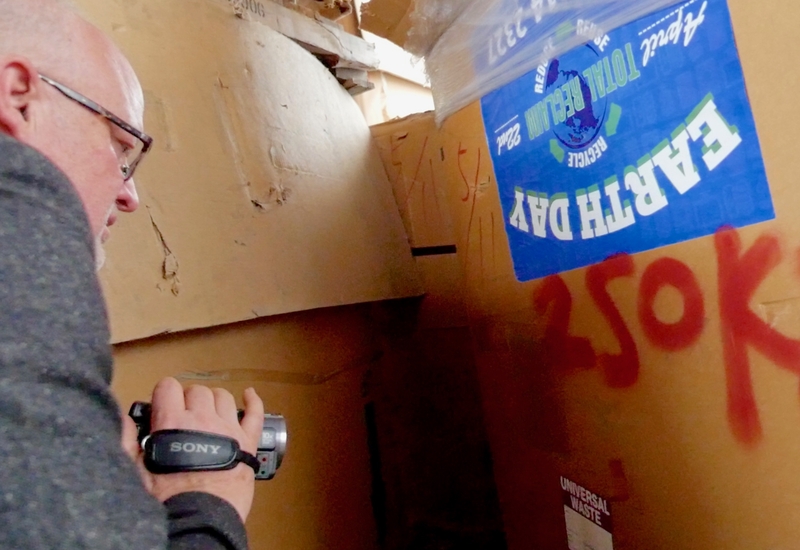 BAN then traveled with PBS Television to the precise locations in Hong Kong where the trackers indicated the waste went. There, BAN found many boxes of hazardous electronic scrap with Total Reclaim’s labels on it. The facilities were highly polluting scrap yards that crudely smashed the monitors apart, exposing the workers to hazardous mercury from the breaking of monitor backlights. Following a presentation of the evidence by BAN and PBS, Total Reclaim was forced to admit their fraud publicly. BAN removed Total Reclaim from the e-Stewards program and the State of Washington initially fined the company $444,000. The case also attracted the attention of Federal prosecutors resulting in today’s action. BAN is increasingly using GPS trackers as a citizen enforcement tool. The e-Stewards Certification program run by BAN now routinely uses GPS trackers to verify e-Stewards performance, and this year they have partnered with Dell and Samsung in BAN’s new EarthEye™ GPS tracking service. Last week BAN was sued for defamation by Canadian Recycler Electronics Recycling Association (ERA) after they reported on GPS evidence of ERA’s exports to Pakistan and China from Canada. Founded in 1997, the Basel Action Network is a 501(c)3 charitable organization of the United States, based in Seattle, WA. BAN is the world’s only organization focused on confronting the global environmental justice and economic inefficiency of toxic trade and its devastating impacts. Today, BAN serves as the information clearinghouse on the subject of waste trade for journalists, academics, and the general public. Through its investigations, BAN uncovered the tragedy of hazardous electronic waste dumping in developing countries. For more information, see www.BAN.org.